From the moment Jeep revealed the all-new Gladiator pickup truck, we knew it would be a sales success. By combining all of the best features from the Wrangler with the practicality of a pickup truck, Jeep has created the ideal vehicle for America. We can just imagine how many of these we will see cruising on the streets in the United States with the roof off covered in dirt from an off-road expedition. But what about Europe? Pickup truck sales have been increasing in Europe and an all-American model like the Gladiator could give European market trucks like the Volkswagen Amarok and Mercedes X-Class some serious competition. 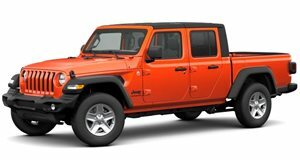 According to Autocar, Jeep has decided to sell the Gladiator in Europe as soon as next year.